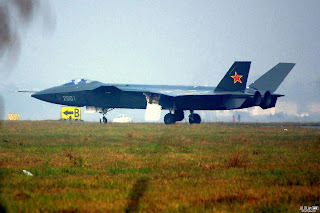 The J-20 #2001 prototype was photographed when it was preparing for high-speed taxi trial at the CAC airfield in late December 2010, wearing a distinctive dark green color scheme (RAM coating applied?). The prototype features a pair of all-moving tailfins and Russian 1.44 style ventral stabilizing fins, which shield the engine nozzles but might increase RCS. It also features an F-22 style forward fuselage, including Caret intakes but with DSI bumps installed at the upper inner corners, as well as a one-piece frameless canopy. However the canards appear to extend slightly above the plane of the main wings and there are four large underwing actuator fairings which might not be stealth optimized. 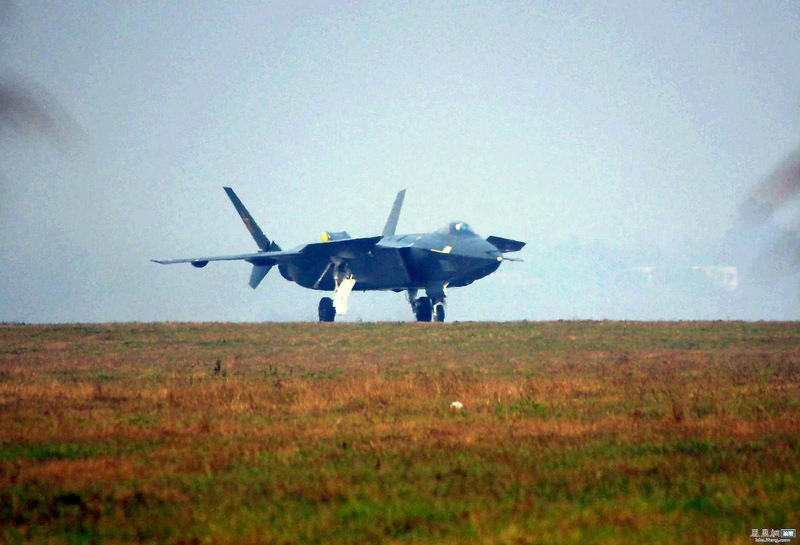 First disclosed by US Office of Naval Intelligence (ONI) in 1997 as XXJ, J-20 is the 4th generation multi-role fighter to enter the service between 2015 and 2018. Since 90s both CAC/611 Institute and SAC/601 Institute had been working their own designs for a twin-engine multi-role heavy fighter with stealth capability and maneuverability comparable to American F-22. Many of these subsystems have been tested onboard J-10B to speed up the development (see above). The exact type of engine powering J-20 prototypes is unclear, even though a Russian turbofan engine such as 117S or 99M2 (14t class) or D-30F6 (15t class) with an axisymmetric TVC nozzle has been speculated. It was reported in November 2006 that a T/W=10 17t class turbofan (WS-15/"large thrust") is being developed and will eventually power J-20. Russian assistance was also speculated in terms of software support for calculating the RCS of various designs. 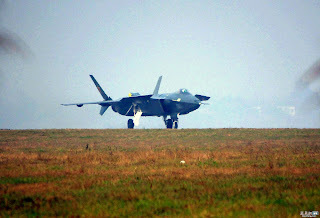 The overall performance of J-20 is thought to be superior to that of Russian T-50 (maneuverability & supercruise) but still inferior to that of American F-22 (electronics & supercruise). In August 2008 it was reported that 611 Institute was selected to be the main contractor for the development of J-20 and 601 Institute as the sub-contractor. Subsequently a full-scale metal mockup was built at CAC. One rumor in May 2010 claimed that 611 Institute started to construct the first prototype, which was expected to fly by the end of 2010, even though the full configuration model won't fly until a few years later. Currently two prototypes (#2001 & 2002) have been constructed and the first high-speed taxi trial by 2001 took place on December 22, 2010.